Rents rose 0.7 percent over the past year to a Zillow Rent Index (ZRI) of $1,408 per month, the slowest rate of appreciation since November 2012 when rents were up 0.6 percent. 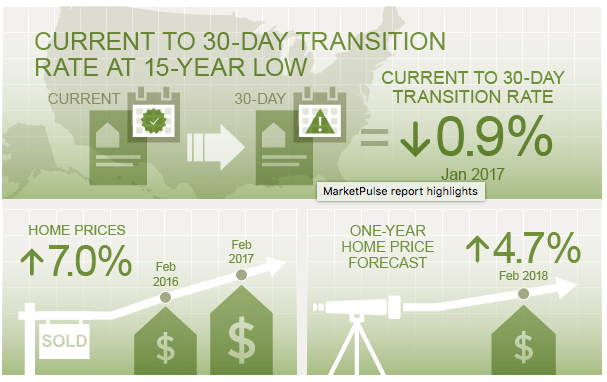 U.S. home values rose 6.8 percent over the past year to a Zillow Home Value Index (ZHVI) of $196,500 in March. There are 5 percent fewer homes on the market this year than last, with Minneapolis, Columbus, Ohio and Seattle reporting the greatest drop in inventory. 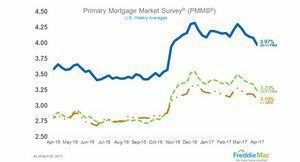 Mortgage rates on Zillow ended March at 3.94 percent, down from a high of 4.13 percent mid-month. 5-year Treasury-indexed hybrid adjustable-rate mortgage (ARM) averaged 3.10 percent this week with an average 0.4 point, down from last week when it averaged 3.18 percent. A year ago,the 5-year ARM averaged 2.81 percent.